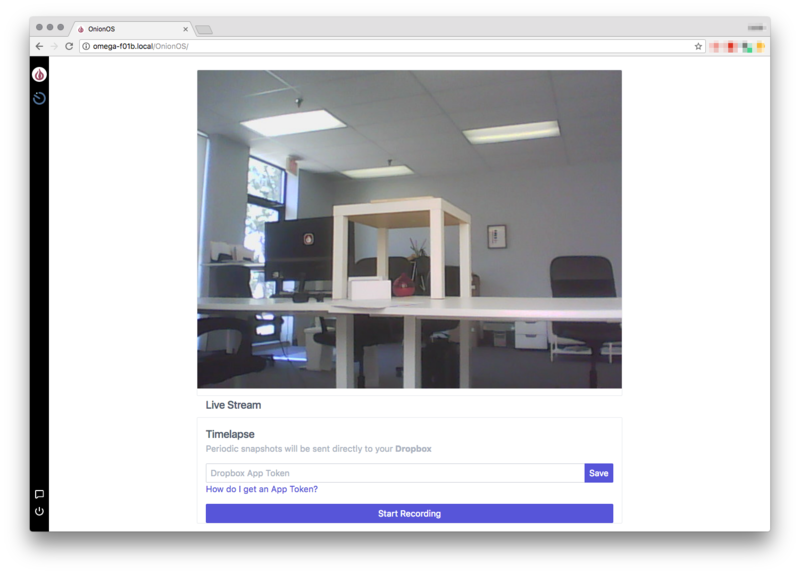 The new Camera App on OnionOS is accessible through your browser! In order for the App to do it’s business, you’ll need to connect a USB camera or webcam to your Omega. The App will then display a live stream of camera. 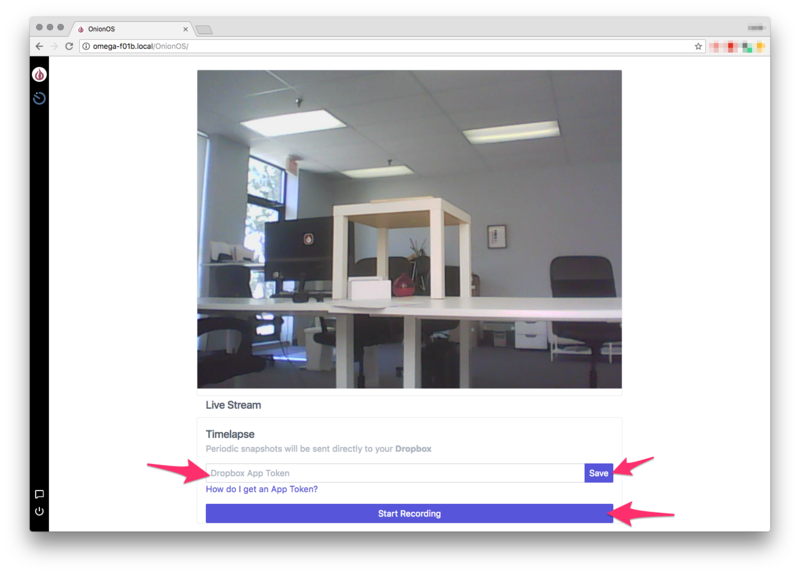 You’ll notice at the bottom, there’s an interface to configure Timelapse captures. When this is enabled, the Omega will take a photo once a minute and upload the image to Dropbox, find out how below! 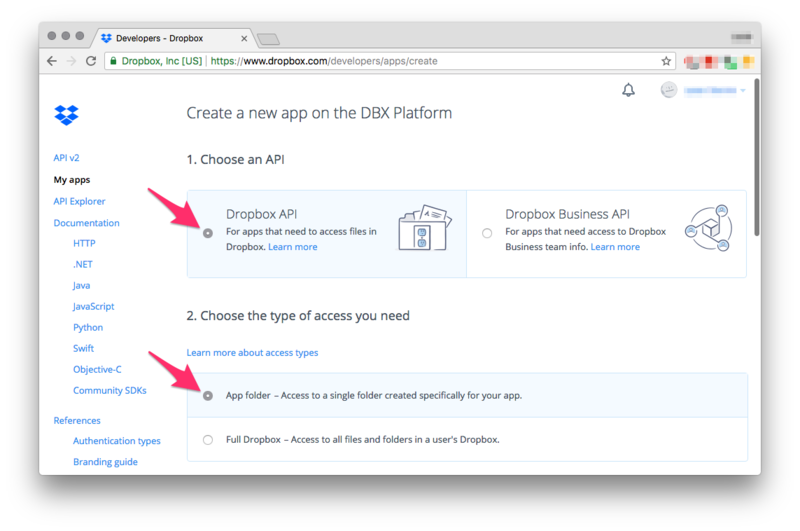 Let’s get you a Dropbox App Token! Hooray! 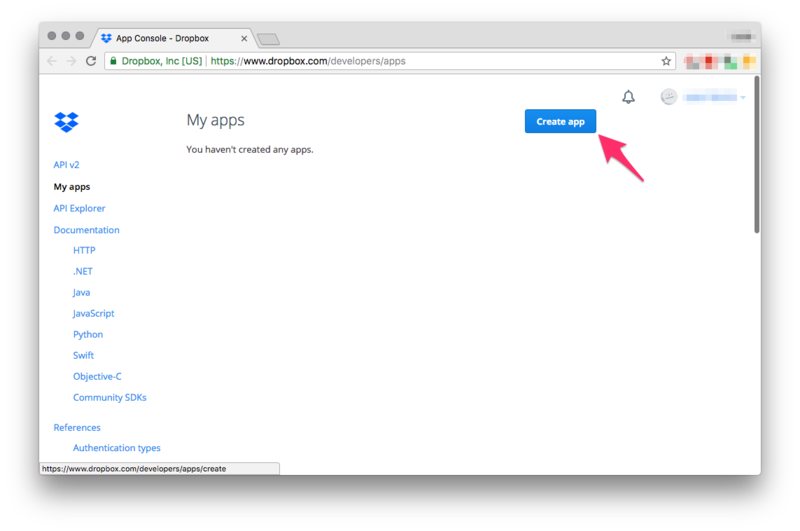 Your Dropbox app has been made! The token will be displayed on your screen, copy it and head back to OnionOS. 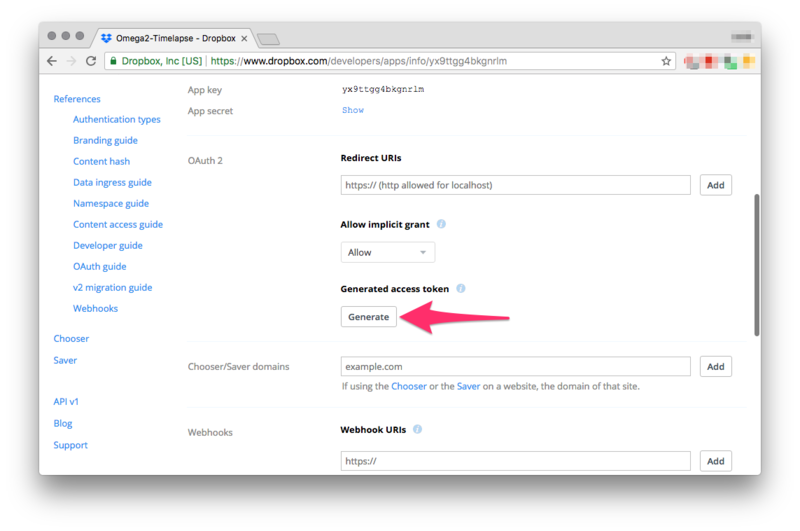 Paste the App Token into the input box in the Timelapse section and hit Save. Then you can hit Start Recording. 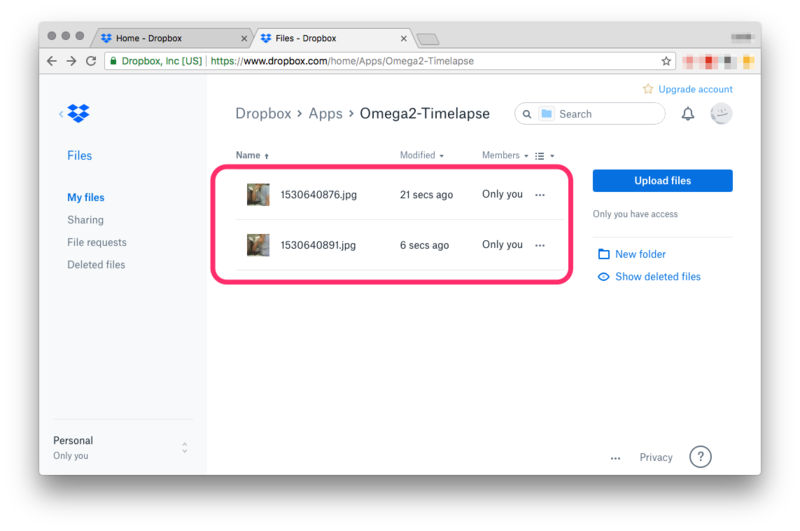 Now your Omega will capture a photo every minute and upload it automatically to Dropbox! 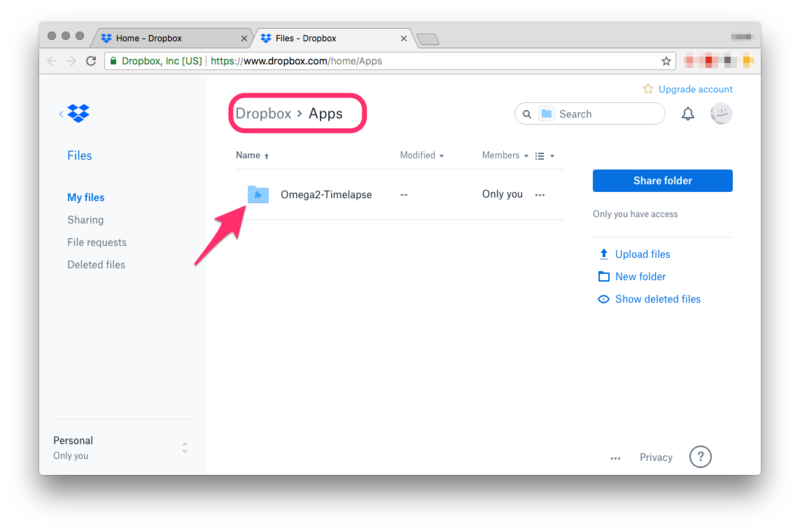 Head back to your Dropbox and you’ll see a new Apps folder. 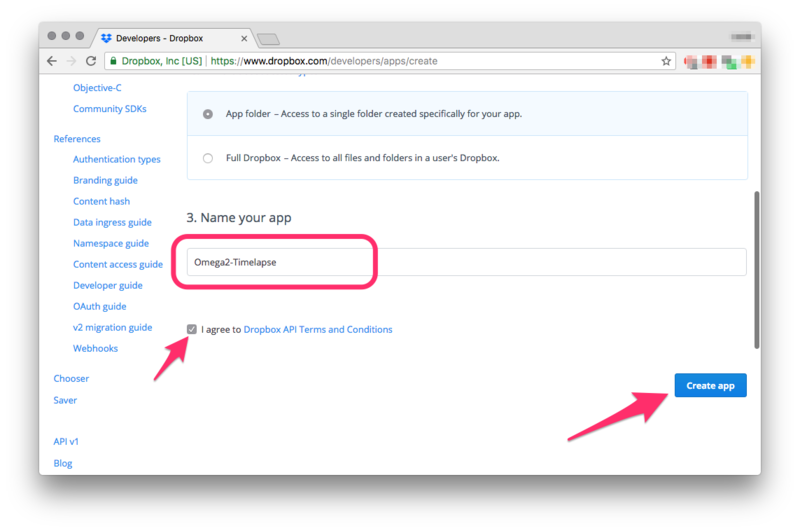 Inside Apps, there will be a new folder named the same as the app you just made, in our case, it’s Omega2-Timelapse. Wait a few minutes and you’ll see photos being added almost as if by magic! You can now setup your Omega to capture timelapse photos with just a few clicks! We can’t wait to see the awesome timelapses you make, share them with us by Tweeting to @OnionIoT!